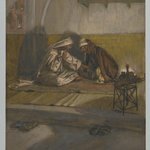 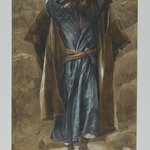 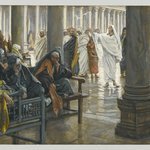 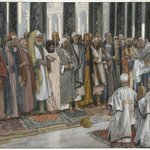 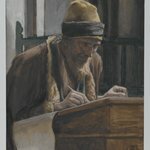 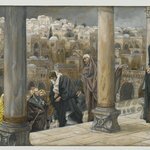 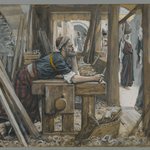 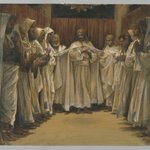 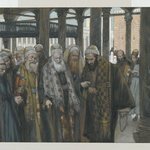 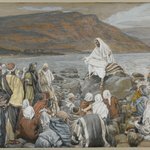 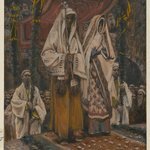 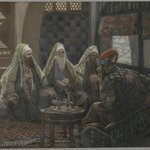 For his narrative of the life of Christ, Tissot created a “harmony” of the Gospels, combining the separate accounts of Jesus’ life attributed to the apostles Matthew, Mark, Luke, and John. 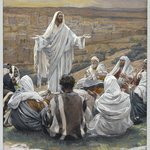 These four New Testament texts differ from one another in theological emphasis and tone. 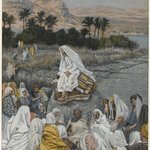 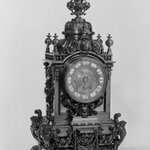 A harmony, a literary form traced to the second-century Christian writer Tatian, seeks to reconcile the differences among the four Gospels and to piece together one continuous chronology of Jesus’ life, verse by verse. 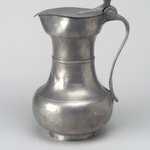 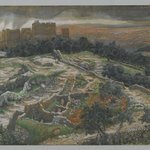 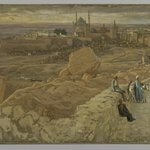 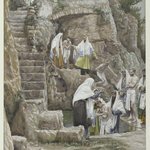 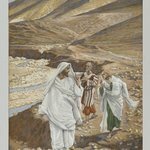 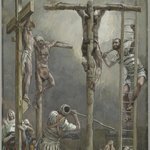 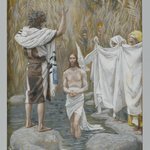 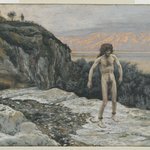 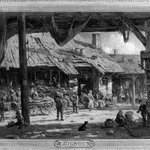 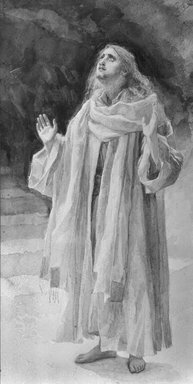 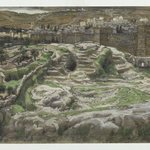 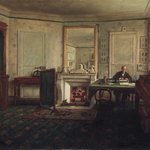 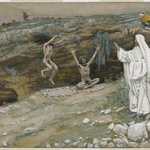 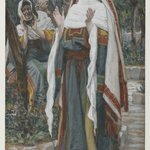 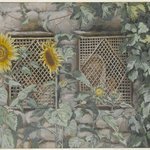 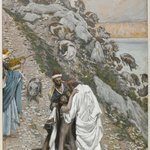 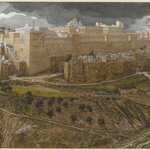 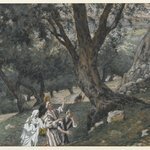 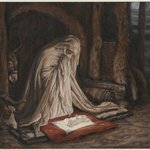 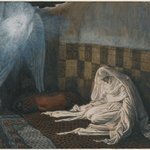 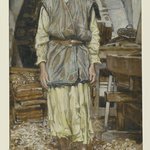 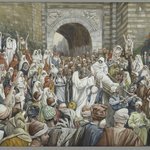 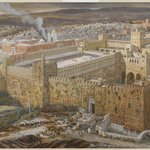 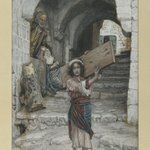 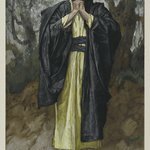 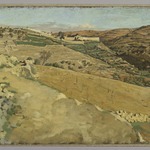 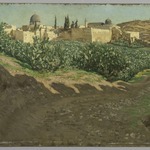 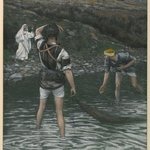 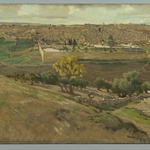 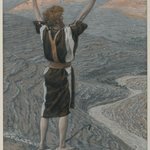 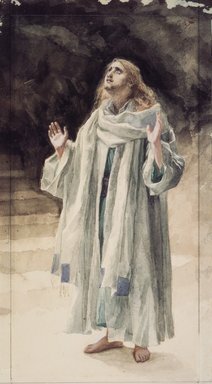 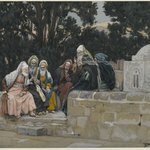 Tissot created his own distinctive narrative through this synthesizing process, producing five “chapters” derived from the Gospel sources: the Holy Childhood, the Ministry, Holy Week, the Passion, and the Resurrection. 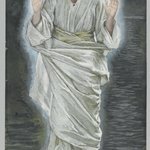 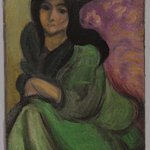 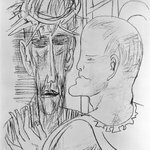 He paid homage to the individual Gospel writers by painting a portrait of each. 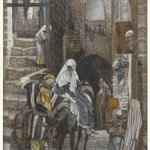 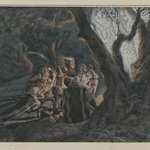 Very occasionally, in order to fill out the narrative, the artist illustrated an episode from the Apocrypha (early Christian writings not included in the New Testament), though he was always careful to select passages consistent with the depiction of the Holy Family in the Gospels.